Leading Manufacturer of flute laminator gum powder for board to board pasting, rigid box adhesive, liquid glue for flute to board 901 sp, synthetic adhesive for flute to paperboard 601, jelly glue powder 102 and jelly glue from Chennai. BOARDPASTE FLUTE LAMINATOR GUM POWDER—955 is an adhesive specially prepared for bonding higher GSM paperboard to itself or to micro flute for display carton manfacture where quick tack coupled with high bond strength are required. The gum can be used in Fully Automatic Machines like Meiguang or semi automatic machines. The liquid gum prepared using our Boardpaste Premium Gum Powder 955 can be used to bond paperboards as high as 1000 GSM. 1. We use only First Quality Starch for processing. 2. 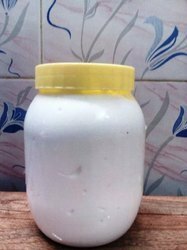 No low quality starch like thippy is used. This can be verified by the appearance of the liquid gum prepared using our Gum Powder. It will be transparent, golden yellow and look like honey without any opaque or hazy appearance. The liquid gum will not separate into two layers on storage. Also it will be stable and can be used even after 15 days without any loss of adhesive nature. 3. The liquid Gum prepared using our Gum Powder gives a hard film on drying. So the bonder paperboard will have improved stiffness, compression and Burst strength. 4. The liquid Gum prepared using our Gum Powder will be quick drying and hence the Pasted boards can be immediately taken up to the next stage of operation thereby increasing the productivity. 6. One Kg of Boardpaste Premium Gum Powder 955 will give 4 Kg of High Quality Liquid Gum. GUM POWDER 955 is to be mixed with twice the quantity of water in a mechanical agitator till the slurry is free from any lumps. 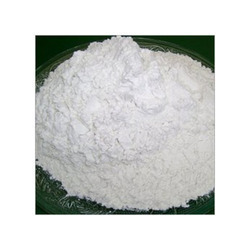 The required quantity of caustic soda is to be mixed with equal quantity of water and then added to the gum powder slurry. 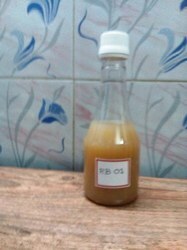 The slurry will become a transparent thick jelly on continued stirring for about 1 hour. Extra water can be added to arrive at the machine specific viscosity. The gum is to be filtered in a fine mesh nylon cloth and then applied using roller, wheel or nozzle applicators using Meiguang or any automatic machine. GUM POWDER 955 can be stored in a dry place away from heat and moisture. No special precautions are needed in handling this product. Our Rigid Box Adhesive is used in the manufacture of Rigid Boxes. This is a starch based adhesive used as a replacement for animal based Jelly Glue. Our Liquid Gum 901 is a ready to use liquid gum for use in Flute or Microflute laminating to Paperboard in Fully Automatic Machines like Meiguang Machine. 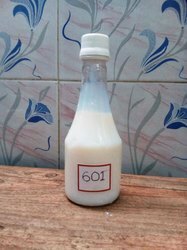 ADHESIVE 601 is a PVAc emulsion based adhesive suitable for Lamination of Flute or Microflute to Paperboard in Automatic Machines like Meiguang Machine. 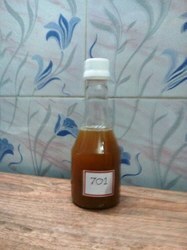 JELLY GLUE POWDER 102 is a starch based powder adhesive which gives a tacky adhesive when mixed with water and heated. The gum thus prepared is highly tacky and suitable for Rigid Box manufacture. Our JELLY GLUE has the high tack and adhesive behaviour required for making Rigid Boxes, etc. Our Side Pasting Gum 701 is a starch based gum specially made for use in side pasting of Kraft Paper Boxes using machine. It is fast setting and has high wet tack. Our Side Pasting Adhesive ( Synthetic ) is used for machine pasting of Kraft Paper Boxes. It is a synthetic Resin based adhesive is fast setting and has high wet tack. CORRUPASTE GUM POWDERIS specially manufactured for corrugation and pasting applications. 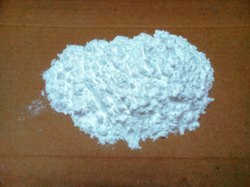 CORRUPASTE GUM POWDER is to be mixed with water in a mechanical agitator and then the required caustic soda is to be mixed. 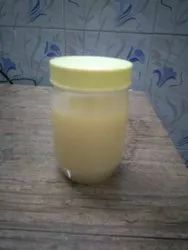 A smooth free flowing liquid glue is obtained. Stirring is to be continued till there is no lump in the liquid glue. Extra water can be added to arrive at the machine specific viscosity. The gum is to be filtered in a fine mesh nylon cloth. Now the liquid gum is ready for use. GUM POWDER 955 CF can be stored in a dry place away from heat and moisture. CORRUgation GUM POWDER ( Caustic free ) is specially prepared for corrugation of Kraft Paper in corrugating machines. No caustic soda is necessary for making Liquid Gum. The powder is to be mixed with only water to get a good quality gum. 1. We use First Quality Starch for processing. 2. No low quality starch like thippy is used. This can be verified by the appearance of the liquid gum prepared using our Gum Powder. The liquid gum will be transparent. Also it will be stable and can be used even after 15 days without any loss of adhesive nature. 3. The liquid Gum prepared using our Gum Powder gives a hard film on drying. So the corrugated board will have improved stiffness, compression and Burst strength. 4. The liquid Gum prepared using our Gum Powder will be quick drying and hence the corrugated boards can be immediately taken up to the next stage of operation thereby increasing the productivity.